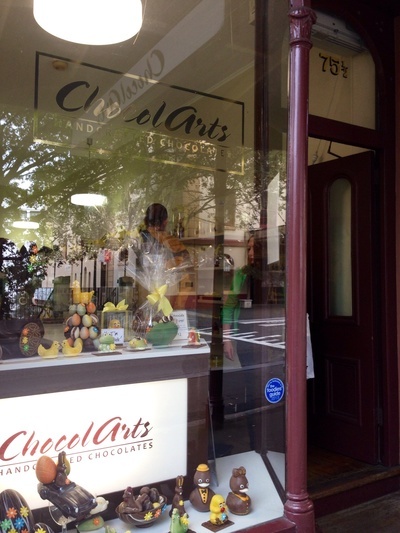 ChocolArts catches the eye of every person walking through the historical end of George Street in The Rocks. 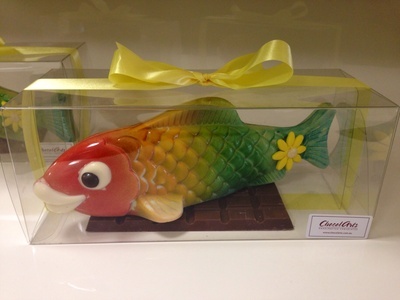 Stunning creations of chocolate stand high, highlighted vividly in bright edible paints. The front of ChocolArt, The Rocks. 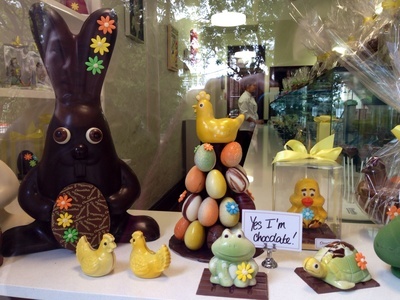 On the lead up to Easter, the display was home to little chickens; a giant Easter Bunny, and pastel-toned eggs. Wanting to explore further, the inside held more unique options such as bold red stilettos filled with a pre-selection of truffles, fish, squirrels, and bronzed cats. Ranging between $25-$45, these treats felt a bit too pricey to splurge on, so my eyes were left to delight in the skilled crafts the store had to offer. To my delight, $2 chocolate pops were on offer for those left with a craving, and in flavours of strawberry and salted-caramel, I knew which one I wanted. 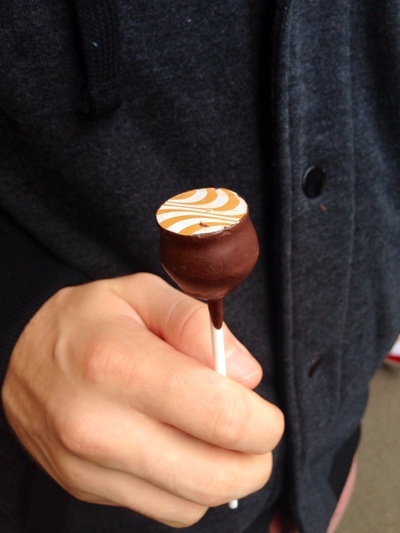 The ball of chocolate that encased the soft caramel was held up on a stick - a perfect treat for kids and adults alike. 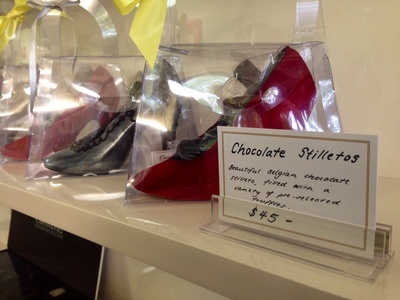 I'd recommend visiting this store just to delight in the visual creativity, but also to purchase a beautiful gift anyone with a sweet tooth would appreciate. 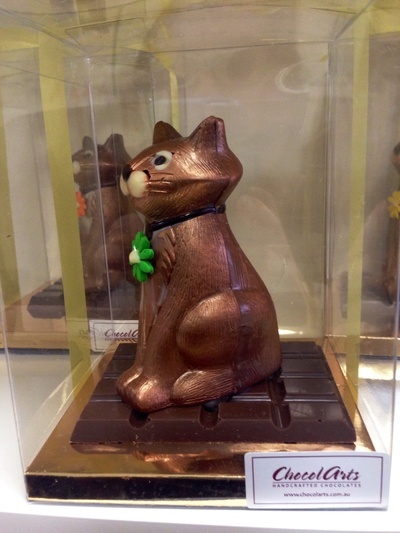 Why: Stunning edible creations; it's chocolate, why not? When: 7 Days, 10am - 6pm.